Abus Lock Mfg from Germany are a well known player in the world of security products, especially padlocks and high security key systems. Many locksmiths, the world over, continue to rely on, swear by and resell Abus locks to often grateful consumers. 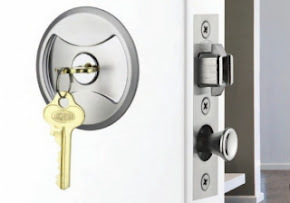 Their range of rekeyable padlocks are especially friendly to the locksmith industry. This new idea is borne from a very green minded concept. 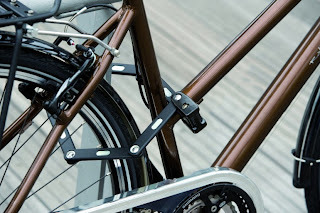 With many consumers the world over, concerned about environmental impact, Abus decided to produce a stylish and modern ecologically friendly bicycle lock and add it to their already hugely popular Borgo range of bicycle locks. 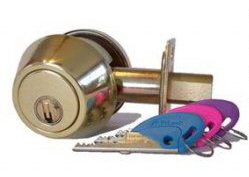 When it comes time to retire the used lock, simply break down the components and send them to the recycling center. Released as part of Abus' display booth at last month's Eurobike Show in Friedrichshafen, Germany, the product is said to be a "medium theft risk" product, meaning it most likely wont stand up to lengthy use and you could be recycling it a lot faster than intended. This handy little device will make the perfect gift for that booze drinker intent on stopping the kids from getting into Daddy's private stock selections. The PT39 Lockey Combination Cork is a relatively inexpensive device that might be a perfect product for the bar and grill business or for any drinker who wants to protect their passion. Simple to use and easy to set your own combination, it secures inside the bottle throat using an expanding base. Loxtore RFID Systems AB, are a well known Swedish company producing some technologically advanced RFID key management systems that are especially useful to automotive dealerships and hospitals intent on managing and controlling secure access to their properties. One such product is shown in the video above. It is fairly easy to use and all keys are totally track-able. Other controlled access facilities include police stations, military storage houses, gun ranges, power plants, schools and universities, casino's, hotels, property management companies and especially security companies - mobile patrol services/guards. Almost any corporate facility employs many staff that require controlled access to offices and secure areas. There are modern day physical and electronic access control devices like master key systems, HID/magnetic card or swipe systems, biometric entry devices including fingerprint readers, retina scanners, facial recognition cameras even CCTV. 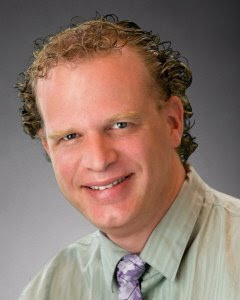 Assa Abloy announce the imminent release of SEOS, a wide platform system standard that will work especially with NFC (near field communications) technology to further provide the necessary embedded components in locks and access control devices and allow contactless, keyless controlled access to entries and other portals. 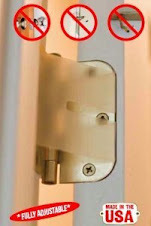 Assa-Abloy are well known worldwide, as the largest manufacturer of door locks and associated door hardware. They collectively own more individual companies under their banner than any competing group or company. Google's mapping vehicle, the one that travels the world taking panoramic pictures of roads and neighborhoods and that has also been the subject of privacy investigations, in recent times, has snapped this rather odd brazen image of an attempt to break in to a house in a suburban street in Warragul, Victoria Australia. You can clearly see the perpetrator already has the window screen off and is about to climb into the home. So - Is that Big Brother Google watching or what?